I know that it started already 2019, but let's stay still at 2018, because I want to share my discovery. After switching from Android and Windows to iOS and macOS, I've turned a lot of Google services into apple replacements. At some point, I came to the stage where I asked the question: "is there a good alternative to Google Translate"? I decided to look for it. Initially, I began to intensively test Translator Bing, a translation service from Microsoft. However, it quickly turned out that the translations are of very poor quality, and the operation of the service and its interface also leave much to be desired. After the first bad impression, I tried to force myself to learn the Translator Bing and give him another chance. And one more. And one more. And ... and I gave up. I have looked for various online translation services in the network and I do not even remember how, but I came across DeepL. 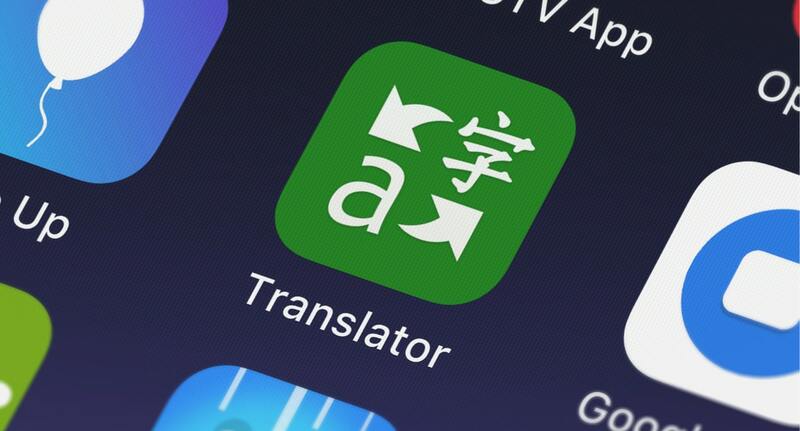 This is the translation service that Linguee is behind. Maybe the name Linguee did not tell you anything, but she told me because I wrote about this news service in 2013, when its creators decided to officially enter the Polish market . Linguee is a quite specific dictionary (eg Polish-English or English-Polish), which in the search results gives the user a translation and a mass of examples of using the word or phrase searched in other source texts. And those in his Linguee database have a lot. DeepL is no longer an online dictionary, but a full-fledged online translator that uses the vast base of Linguee source texts and harnesses artificial intelligence to work on translations. Effects? Extremely well-translated texts. How well? Better than Google or Microsoft would do. You do not believe? Let's check together. Let's have a little fun. I'm going to paste a piece of text that we will translate from English into Polish. Now we will do it - I will give you three translations, without providing the service that I used. Read all the translations and rate which is the best. Later - later in the text - I will give the results and I will say which translation was made by a particular translator. DeepL Translator is a translation service launched in August 2017 by DeepL GmbH, a start-up company supported by Linguee. This service currently supports translations between the nine main European languages. 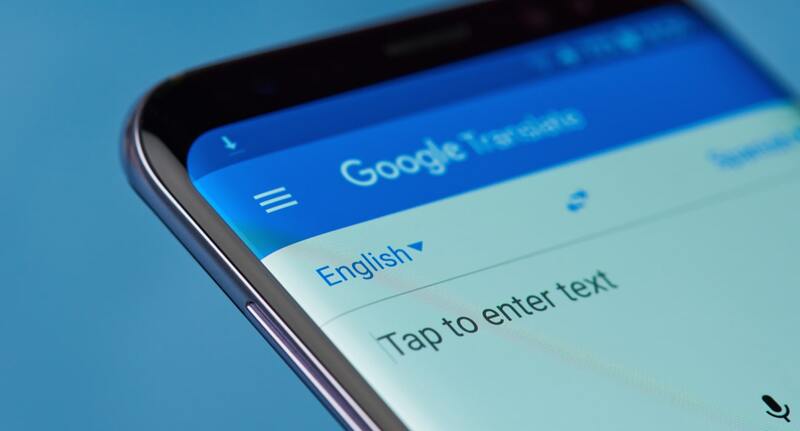 DeepL's translations have been shown to sound slightly more natural to people compared to other more important translation services, such as Google Translate, Microsoft Translator and Facebook   , using BLEU to assess the quality of translations compared to the competition [6 ]. We have the first test behind us, we will do next, but first the results: 1. DeepL, 2. Google, 3. Microsoft. Surprise? We're flying further. BLEU abbreviated in the above-translated passage - what does it mean? Let's see. BLEU (bilingual evaluation understudy) is a source of information. "BLEU." BLEU was one of the first metrics to claim a high correlation with human judgments of quality,   and remains one of the most popular automated and inexpensive metrics. Scores are calculated for a good reason. Those scores are now available. Intelligibility or grammatical correctness are not taken into account . BLEU (bilingual valuation doublet) is an algorithm for quality evaluation of text that has been machine translated from one natural language to another. Quality is considered to be a match between machine performance and human performance: "the closer to machine translation is professional human translation, the better" is the main idea of ​​BLEU. BLEU was one of the first metrics that claimed a high correlation with human quality judgments,   and remains one of the most popular automated and inexpensive indicators. The results are calculated for individual translated segments - usually sentences - by comparing them with a set of good quality reference translations. These results are then averaged over the entire corpus to obtain an estimate of the overall quality of the translation. Understanding or grammatical correctness is not taken into consideration [source needed]. BLEU (bilingual rating) is an algorithm for quality evaluation of text that has been machine translated from one natural language to another. It is believed that quality coincides between the output of the machine and the human device: "the closer to machine translation is professional human translation, the better it is" - this is the central idea behind BLEU. 1 BLEU was one of the first indicators to apply for high correlation with human quality judgments,   and remains one of the most popular automated and affordable metrics. The results are calculated for individual translated segments - generally sentences - comparing them with a set of good quality reference translations. These results are then averaged over the entire corpus to achieve an estimate of the overall quality of the translation. Understanding or grammatical correctness is not taken into consideration [source needed]. BLEU (bilingual assessment not adequately researched) is an algorithm for the evaluation of text quality, which has been machine translated from one natural language to another. Quality is considered to be the correspondence between the result of the machine's work and the result of human work: "the closer machine translation is to a professional human translation, the better" is the main idea behind BLEU. BLEU was one of the first indicators that found a high correlation with human quality assessment,   and remains one of the most popular automatic and inexpensive measures. 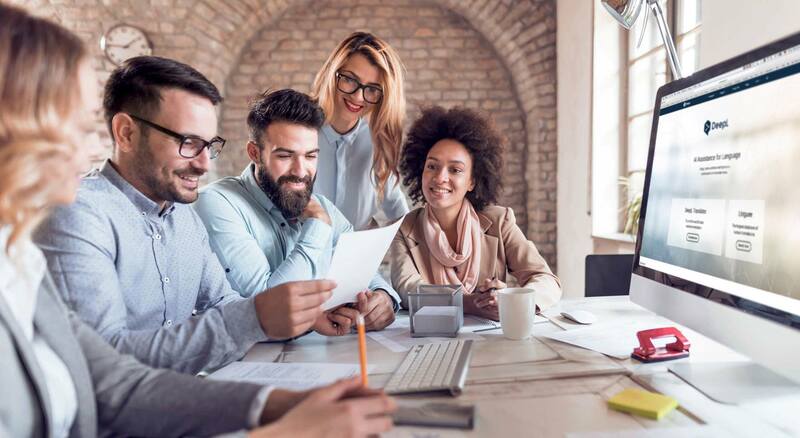 The results are calculated for individual translated segments - generally sentences - by comparing them with a set of high quality reference translations. These results are then averaged over the entire corpus to estimate the overall quality of the translation. Eligibility or grammatical correctness are not taken into account [necessary quotes]. The texts have been translated very differently. Just pay attention to the fragment "the better it is", which after translating it should look like this: the more machine translation is closer to a professional human translation, the better ". Meanwhile, two translators translated the opposite: "the closer to machine translation is professional human translation, the better" and "the closer to machine translation is professional human translation, the better it is". Only the third translator translated correctly and kept the sense of the original sentence - he compared machine translation to professional human translation, which functions here as a model: "the closer machine translation is to a professional human translation, the better." That third translator was now DeepL. Results: 1.Google, 2. Microsoft, 3. DeepL. Now let's try to translate the other way - from Polish to English. Łukasz Kotkowski, Spider's Web: Which Surface editions enjoy more interest? Budget, with less memory and a more energy-efficient processor, or the best-equipped? Dominik Sołtysik, Surface Category Lead in the Polish Microsoft branch: In Poland, like in the world, the best-selling Surface is Pro. This is due to the unique form-factor developed to provide users with a versatile device. Surface Pro is essentially an ultrabook enclosed in the form of a tablet - a powerful computer with the tablet function, and very portable. This is the main reason why our customers choose Surface Pro most often. We have tried to adapt our products to the needs of various customer groups - including those who only use the basic functions of the computer and appreciate the aforementioned versatility, but also the most demanding ones who use our devices to create content - photo editing, video, advanced 3D models, architecture, programming - where computing power is essential. Today, the most-chosen configuration is the one with the Intel Core i5 7 gen. Processor and 8 GB RAM, which is a convenient compromise for the majority of our clients. In the case of the second best-selling model - Surface Book 2 - the situation is much different, models with Intel Core i7, 16 GB RAM and an external GPU are selling the best. Now let's go to the translations. Again, I have mixed up the order of the used platforms - results later in the text. Lukasz Kotkowski, Spider's Web: which surface edits have more interest? Budget, with less memory and more energy efficient processor, are these the best equipped? Dominik Sołtysik, Surface Category Lead, Microsoft's Polish branch: In Poland, like the world, the best-selling surface model is Pro. This is due to the unique form-factor developed to provide users with a versatile device. Surface Pro is essentially an ultrabook in tablet form - a powerful PC with a tablet, so it's very portable. This is the main reason why we would like to use the common Surface Pro. We have tried to adapt our products to the needs of our clients. We have tried to adapt our products to the needs of our clients. , advanced 3d models, architectures, programming - where computing power is essential. Today, the most popular configuration is the one with the Intel Core I5 ​​7 Gen. and 8GB RAM, which is a convenient compromise for most of our customers. For the second best-selling model - Surface Book 2 - The best selling models with Intel Core i7, 16GB RAM and external GPU. Łukasz Kotkowski, Spider's Web: Which editions of Surface are more popular? Budgetary, with less memory and more energy efficient processor, or the best equipped ones? Dominik Sołtysik, Surface Category Lead in the Polish branch of Microsoft: In Poland, just like in the world, the best-selling Surface model is Pro. This is due to the unique form-faced processor, designed to provide users with a versatile device. Surface Pro is basically an ultrabook closed in the form of a tablet - a powerful computer with a tablet function and very portable. That's the main reason, why choose Surface Pro. We have tried to tailor our clients to the needs of our clients. models, architecture, where - where computational power is essential. Today, the most popular configuration is the Intel Core i5 7 gen. Processor and 8 GB of RAM, which is a convenient compromise for most of our customers. For the second best-selling model, Surface Book 2, the situation is definitely different, with Intel Core i7, 16GB of RAM and an external GPU selling best. Łukasz Kotkowski, Spider's Web: Which Surface editions enjoy more interest? Budget, with less memory and more energy-efficient processor, or the best-equipped? This is due to the unique form-factor developed to provide users with a versatile device. Surface Pro is essentially an ultrabook enclosed in a form of a tablet - a powerful computer with the tablet function, and very portable. This is the main reason why we recommend Surface Pro most often. We have tried to adapt to the needs of our clients to the content - photo editing, video , advanced 3D models, architecture, where computing power is essential. Today, the most-known configuration is the one with the Intel Core i5 7 gen. Processor and 8 GB RAM, which is a convenient compromise for our clients. In the case of the second best selling model - Surface Book 2 - the situation is much different, models with Intel Core i7, 16 GB RAM and an external GPU are selling the best. The translations are quite similar, but there are a few sentences that have been translated nicer, by some platforms. Here are the results: 1. Microsoft, 2. DeepL, 3. Google. That's it for me. I hope that I was interested in you a little DeepL translator, which I am enchanted with, and without a moment's hesitation I can call it my discovery in 2018. I will also use it in 2019. I would recommend. It is worth giving him a chance.